WARNING: Rambling prologue ahead. 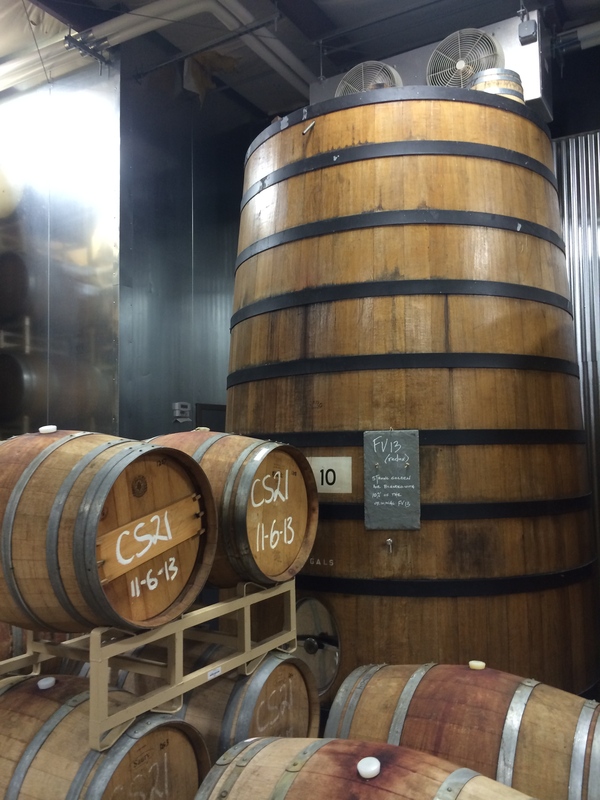 If you want to skip to the Allagash goods, proceed to the photo of the barrel-filled Allagash Wild Room below. 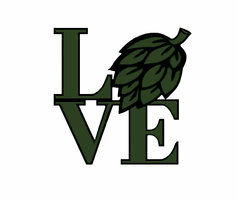 Mike: India Pale Ales are the language of love in the craft beer world. It’s the international language, and everyone speaks it. Ask a beer geek to name a favorite IPA and you’ll get a snappy answer in a half second. Heady! Pliny! Lunch! Enjoy By! Sculpin! Zombie! Fatamorgana! Hoppy beers are with us for the long haul. Hophead or not, you’re probably going to have a reaction to the blessed wash of citrusy/piney/earthy craziness supplied by a world-class (or even decent) IPA. Many in this style are currently listed among the top beers in the world on BeerAdvocate’s Top 250. And then there are stouts. Bourbon stouts, imperial bourbon stouts, imperial coffee bourbon stouts, and even imperial coffee oatmeal stouts lovingly crafted from coffee beans processed via weasel crap. Most of the brews listed on the Top 250 are very strong beers, and stouts populate the list like heavyweight boxers at a hemp convention. 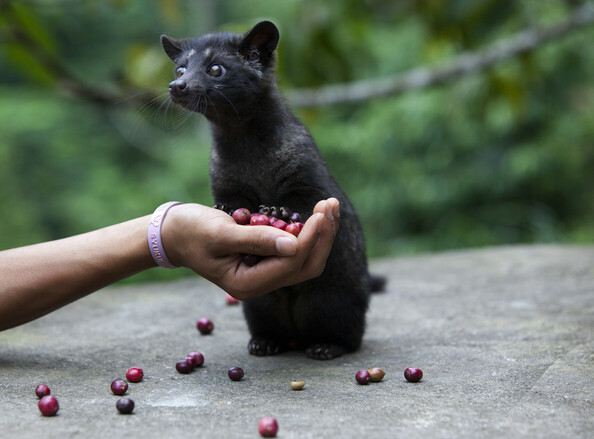 You want me to do what with these, exactly? But this post is not about hops, or IPAs, or stouts. Recently, as Andrew and I witnessed at THE Festival back in June, wild beers (also known as sour beers) are edging their way into the upper echelon of beer reverence. Which is an odd development, because they’ve been five-tool players in the weird world of craft beer for a very long time: They’re rare, incredibly time-consuming to develop, wildly unique, expensive as anything, and so very delicious. In other words, they define the complex love/hate relationship beer nerds maintain with their hobby. The geuezes blended in Belgium by the likes of Cantillon and Drie Fonteinen from their spontaneously fermented lambics are generally considered to be the finest sour beers in the world, which is great for them, but torture for those of us across the pond. Why? Because you simply cannot get your hands on them without either spending a fortune or trading away half your cellar. Andrew, my dear beerwife, called me up the other day to inform me that Eagle Provisions in Brooklyn had various bottles of Cantillon for $100 a bottle. That’s A.) ridiculous, B.) shameful, and C.) tempting. As a courtesy, it’s an unspoken rule that Belgians are the only ones who can call a lambic a lambic. Sort of like vintners who make Champagne are the only ones who can call Champagne Champagne. Silly? Maybe. Tasty? Yes. It’s tradition. With that, we come to Allagash Adventure, Part II! So he took us out back behind the new main brewery, across a ditch spanned by a bridge supported by a railing crafted from used barrels, to their old main brewery building. This building has since been repurposed to house their wild beer production facility. Inside were rocking chairs built from used barrels. 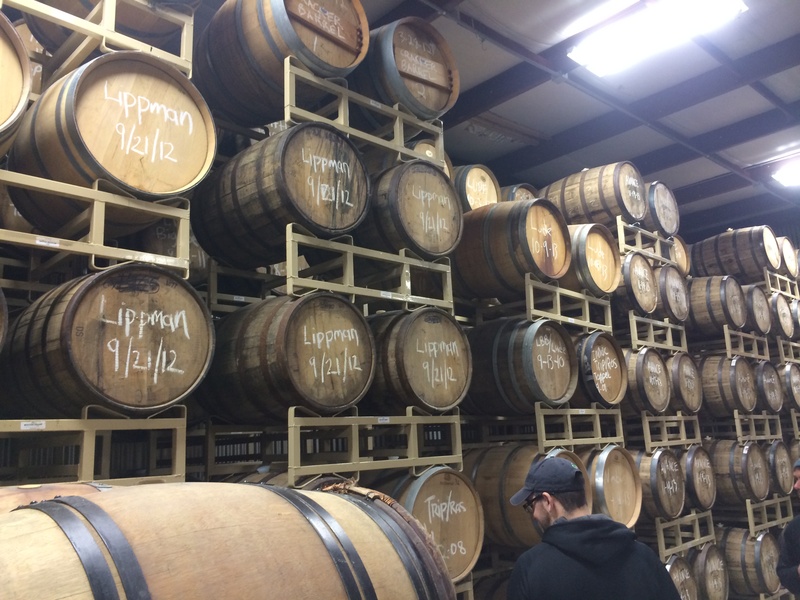 You should be sensing a theme here…the place is filled to the rafters with oak barrels filled with delicious Allagash beer forged by various wild yeast strains. The sort of tanks pacifists prefer. Walking inside, there’s a natural path past some larger stainless steel tanks containing concoctions such as (My Name Is) Earl, brewed with 3000 pounds of cherries, and Farm to Face, an amazing-sounding sour brewed with Maine farm-grown peaches. 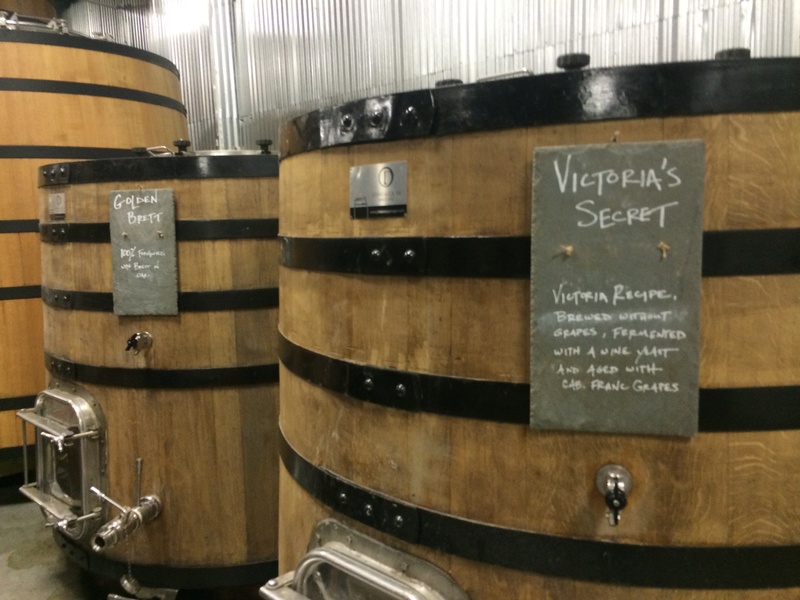 Then, entering the actual barrel room, you’ll find small foudres (monster oak vessels) filled with Golden Brett and Victoria’s Secret, the latter of which is a funky variation on their wine-infused Victoria recipe. 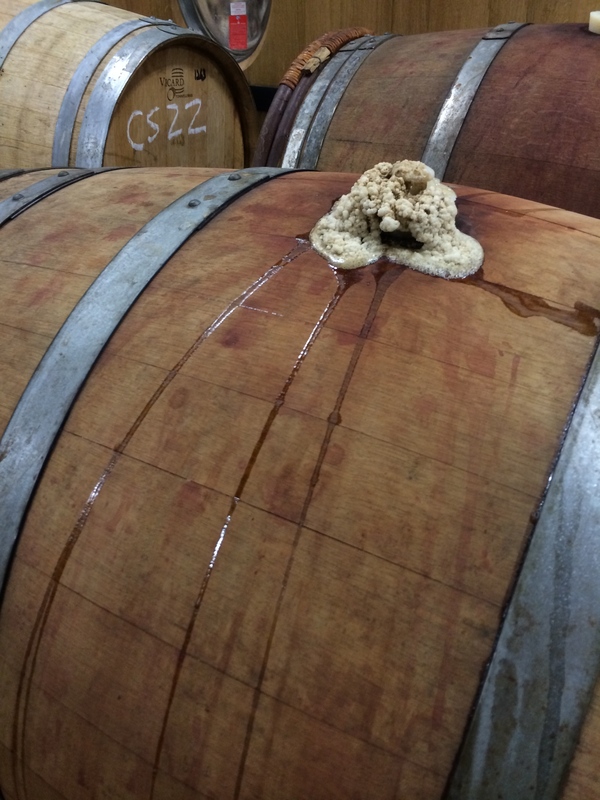 Next to those small foudres was a massive one marked – you guessed it – FV 13! 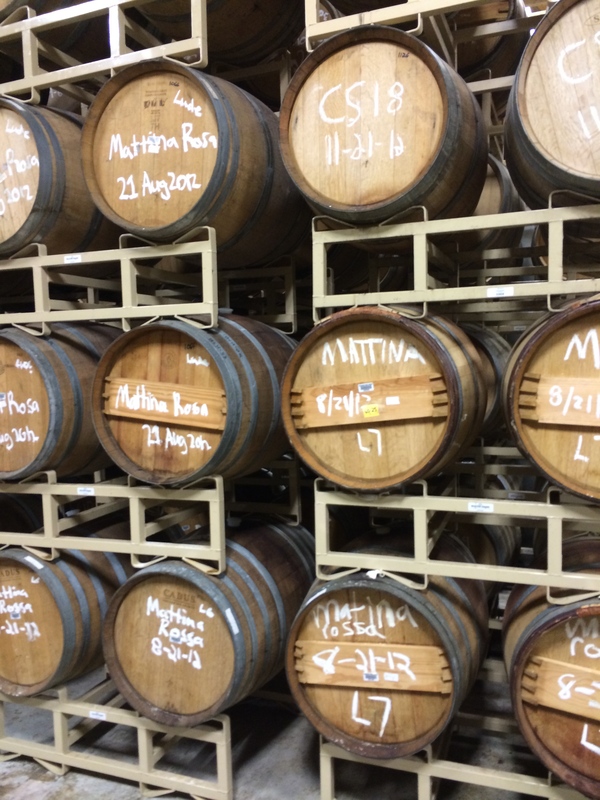 The barrels of Coolship lambics were flanked by barrels filled with something I’d only heard about in apocryphal circles: Mattina Rossa. The story is that this raspberry sour was brewed about five years ago and something went awry. Only a small fraction of the original batch was salvageable, and those were kept in-house as some sort of secret prize. Whether or not the story is true, very few of those outside the inner Allagash circle have had the pleasure of partaking in its glory. But here it was. Our guide told us that they were brewing new batches of it. The elusive, mythical Mattina Rossa. After walking into a room like this, the only thing you want to do with the rest of your life is to drink beer, and lots of it. Preferably sours. So, conveniently, the good folks at Allagash saw fit to keep their old tasting bar in the wild room, and the fridge behind it is filled with Allagash’s Coolship beers. We shared bottles of Resurgam, their signature gueuze, which is a blend of 3-year, 2-year, and 1-year-old lambic-style spontaneously fermented ale. 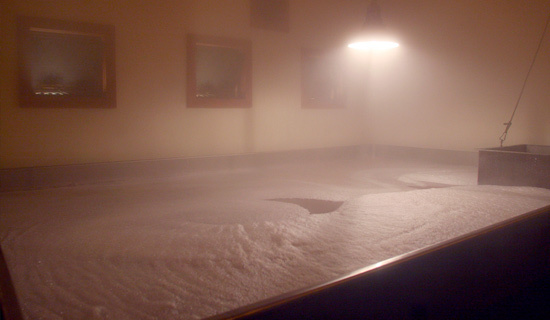 After that, our guide asked us what else we’d like to see, and of course, I asked to see the actual coolship. By this point, dear reader, you’re probably wondering what this coolship thing is. A coolship is actually the Americanization of a koelschip, which is sort of an open stainless steel pan sitting inside a room with open windows. The wort is poured into the pan and cooled for awhile, and the windows are opened to invite a host of aerial yeast and bacterial acrobats to enter into the room and “infect” the beer. This is done in the cooler months, with Allagash’s Ghoulschip being exposed in the coolship each Halloween night. 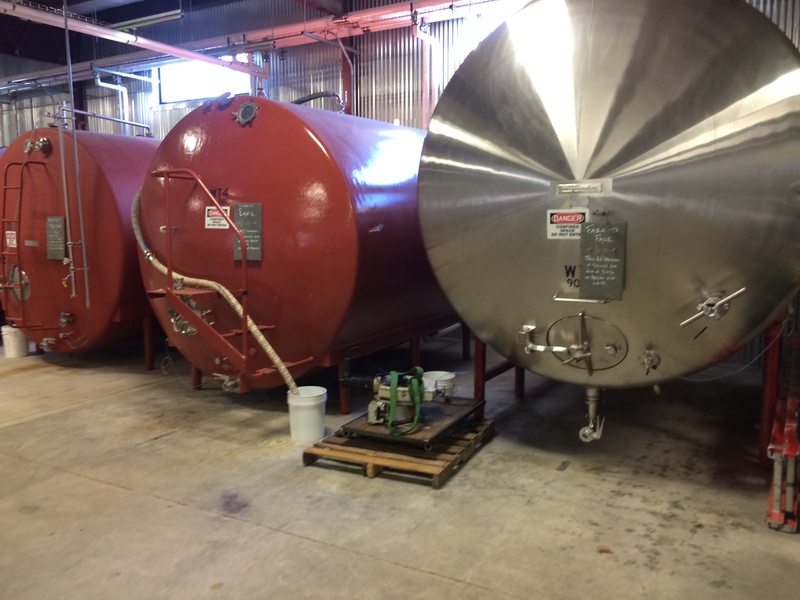 While a few of these vessels have popped up in this country, Allagash was the first to build one and use it. 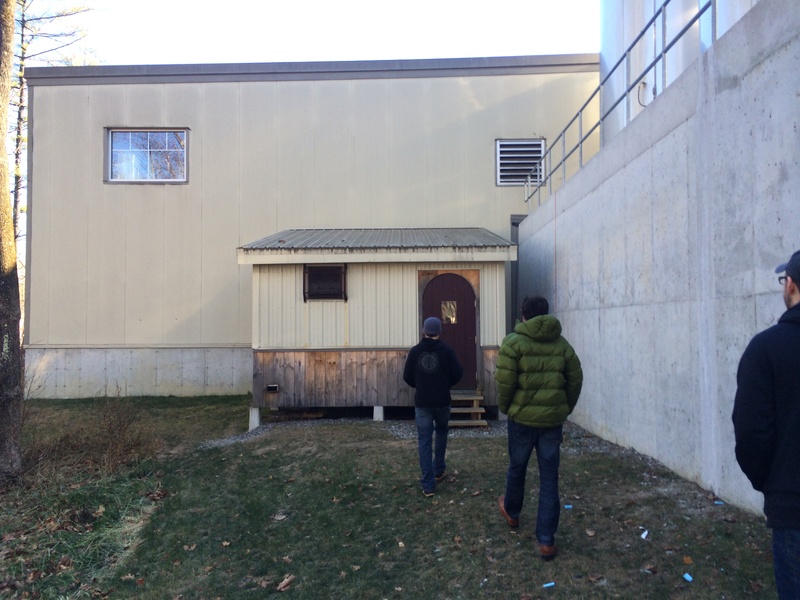 So we headed out to the tiny shed situated next to the new main brewery, which remains locked so hooligans can’t get in there and brew moonshine or psychedelic Kool-Aid or whatever. Our guide had the key, of course, but despite numerous attempts, THE DAMN THING WOULDN’T OPEN. This being the last dregs of November in Maine, the lock was frozen. Makes sense, as the coolship probably hadn’t been used since Halloween night. But it’s all good. 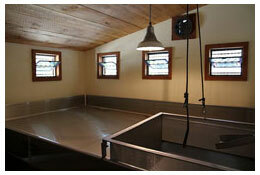 You can find pics of Allagash’s coolship all over the place, so you’re not really missing out here. Good news was, since our tour happened to take place during the Midnight Brett bottle release on Black Friday, there was a noirish theme at the taps in the tasting room. Midnight Brett, Black, Bourbon Barrel Black, and Odyssey were all there, and we drank them all. So, if you’re ever up in these parts, get thyself to Allagash, take their tour, and bask in the glory I’ve described here. To finish up, I’d like to thank our peerless tour guide for being thoroughly awesome, Rob Tod for being a genial genius, and the entire Allagash crew for being the best at what they do. And of course, I’d like to thank our BrewBoyz readers (and my fellow BrewBoyz) for making it this far, putting up with the MONTH LONG WAIT between Part I and Part II of this little tour, and stomaching the sycophantery I’ve openly displayed here for my favorite brewery in the world.